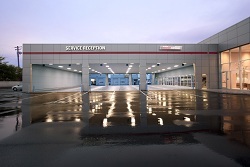 The Maita Toyota Services Center helps extend the life of your Toyota. Our factory-trained technicians understand the requirements of your specific vehicle. They use high-quality Genuine Toyota replacement parts that meet or exceed factory recommendations. "Our goal is to deliver prompt, quality service that gets customers back on the road quickly,” said Mike Latham, service manager at Maita Toyota. “Our new facility can handle everything from routine maintenance to more complex repair and body shop services." Also, Maita Express Lube and Express Maintenance services have their own dedicated service lanes. Each of these services deliver basic maintenance in an hour or less. 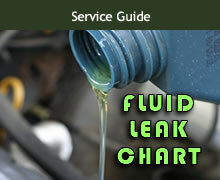 For instance, customers can utilize the express services for 5,000-mile factory recommended maintenance. The 90,000 square foot facility features a completely different type of experience for new vehicle buyers and existing Toyota customers. Customers will notice the changes as soon as they approach from Highway 80 and Fulton Avenue. “There’s plenty of room if you prefer to work while away from your office,” Latham said. A drop-off service offers helps customers get back and forth from office or home. For early bird customers, Maita Toyota provides a secure kiosk for depositing vehicle keys and instructions.